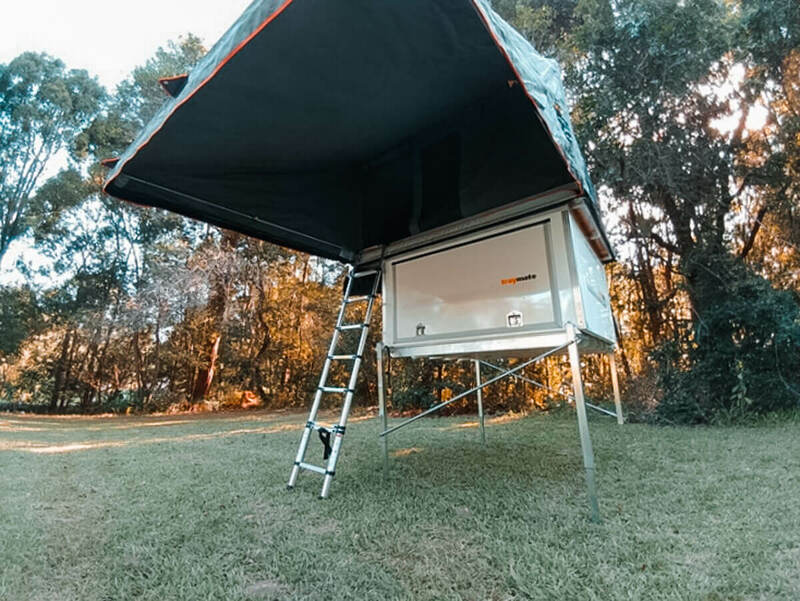 Rock up to your campsite and slide the camper off in 5 minutes, setup your campsite. 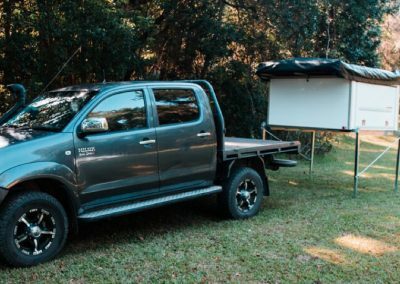 Now go and explore! 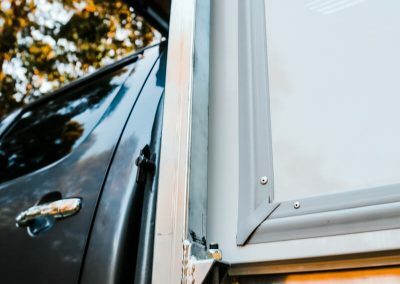 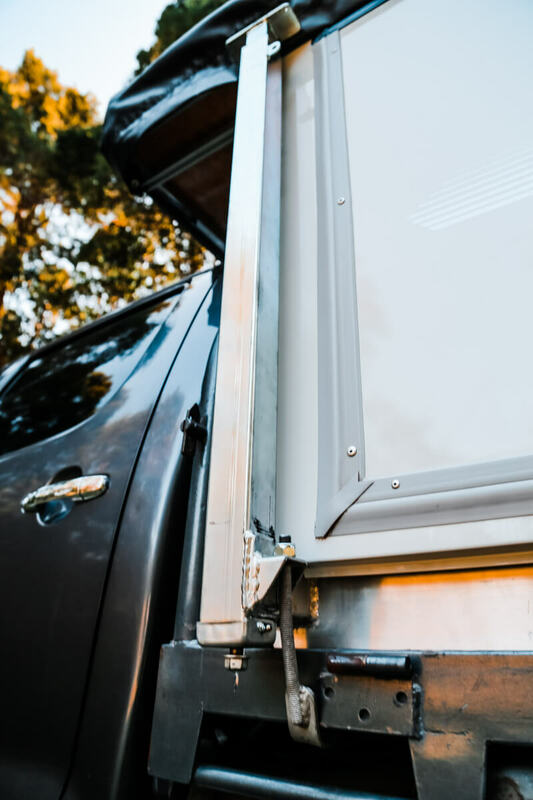 All the benefits of a camper trailer without the downsides. 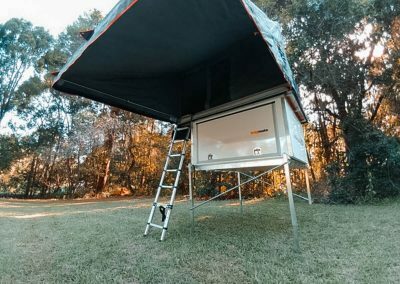 A proven camping platform with a kitchen and sleeping options for a family of 5. 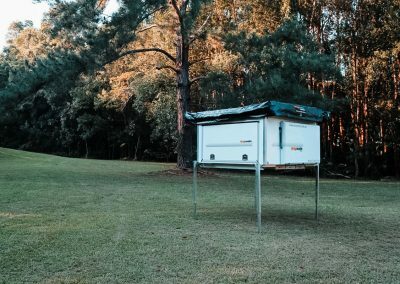 And plenty of storage and shelter. 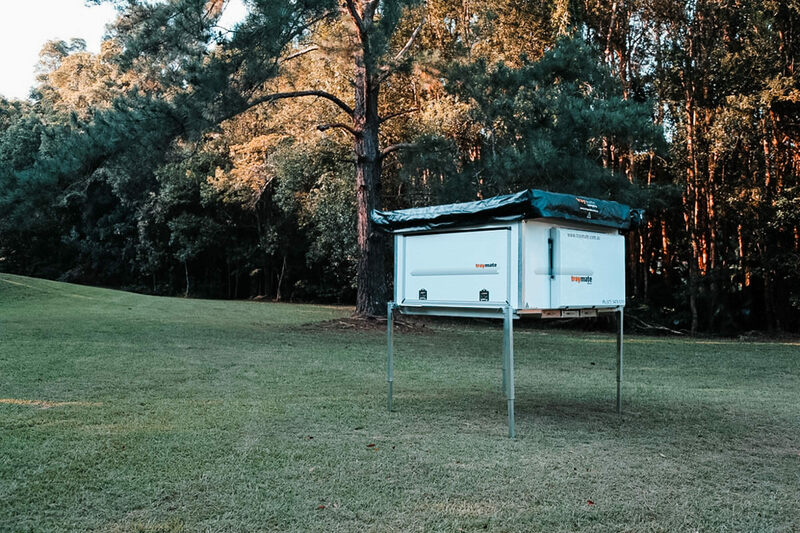 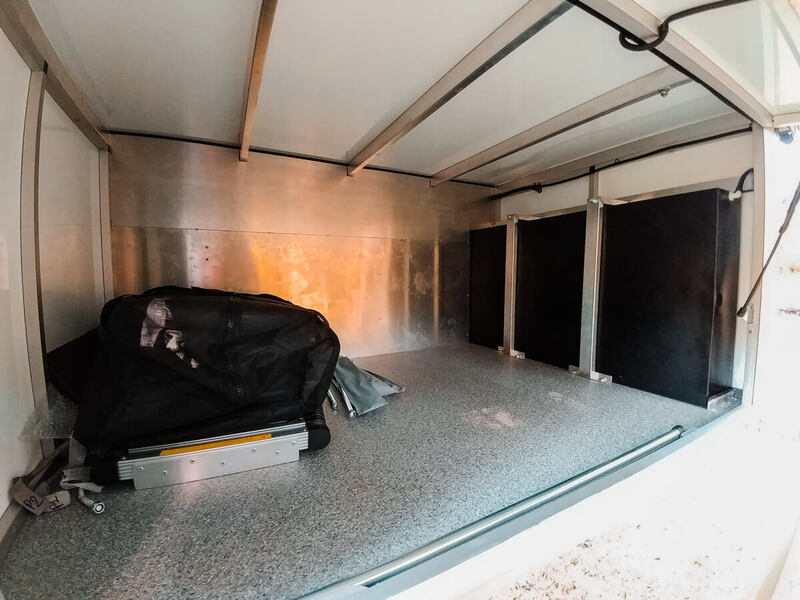 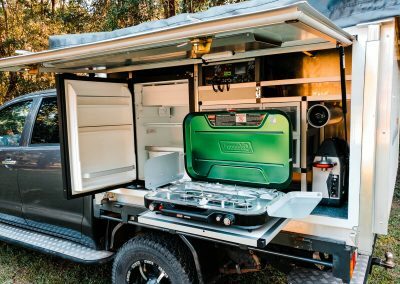 A rugged, lockable storage space for tools and equipment. 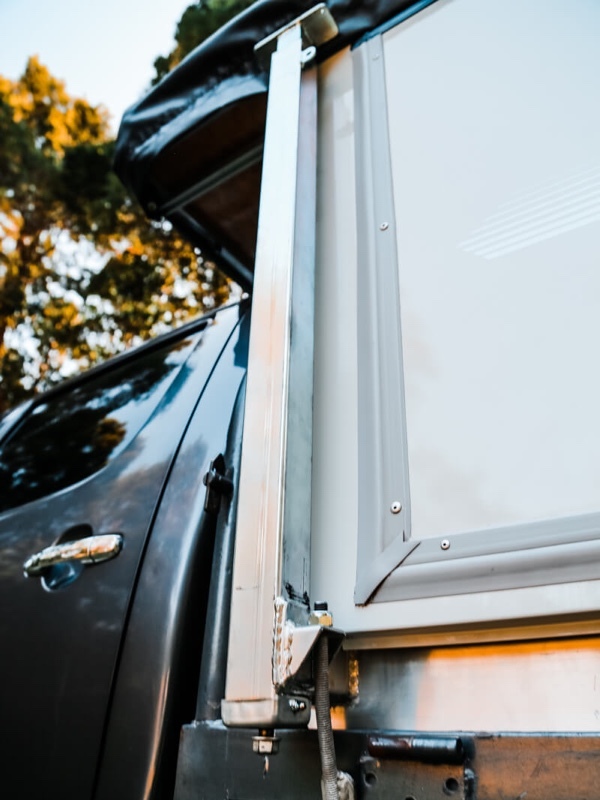 Fit it out the way you want. 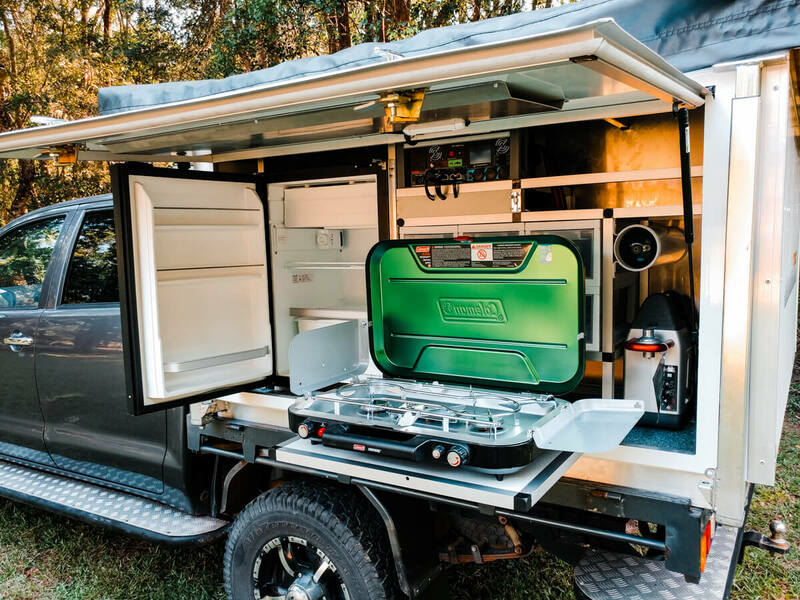 The Traymate Trade and Camping system can be built the way you want it. 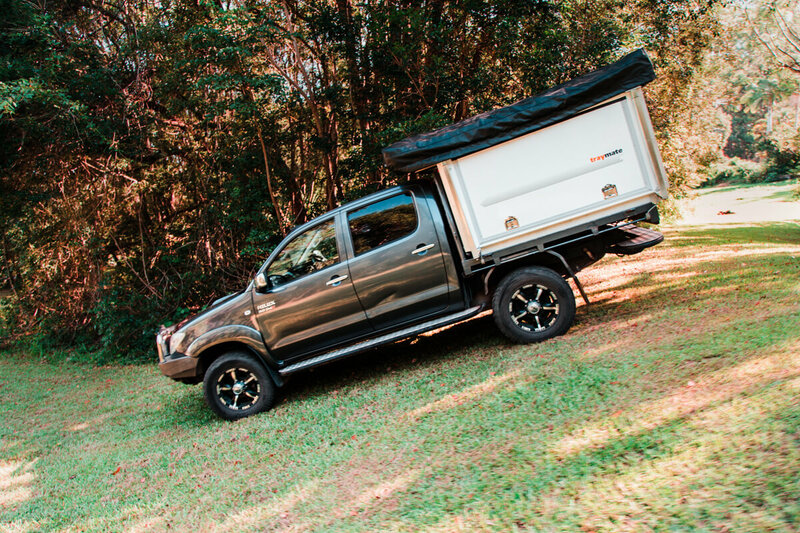 Fit it out yourself, or customise it the way you want from the factory! 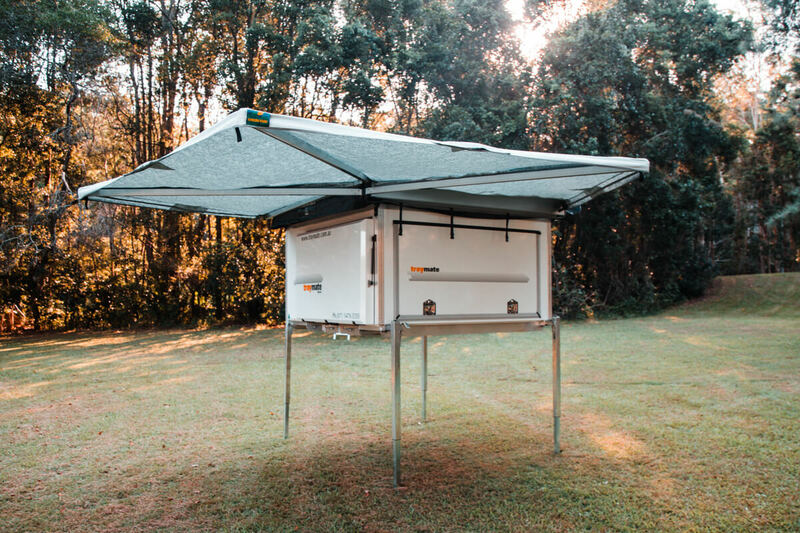 Build your ultimate multipurpose work and play canopy now! 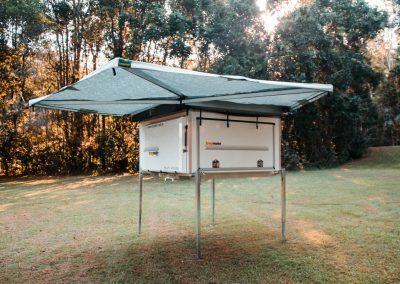 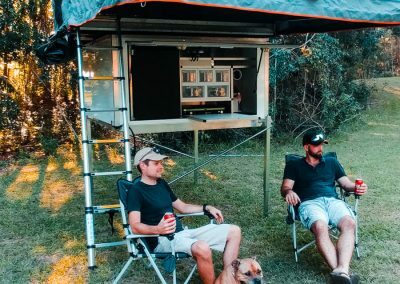 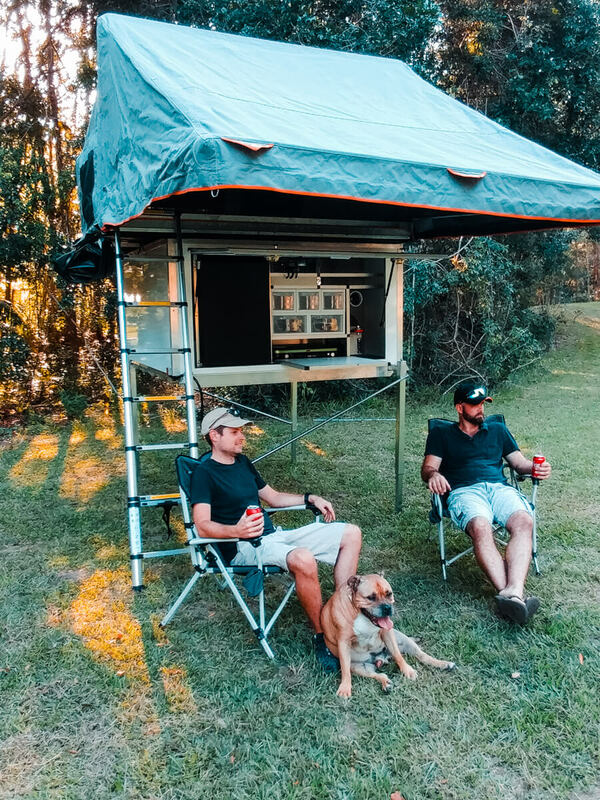 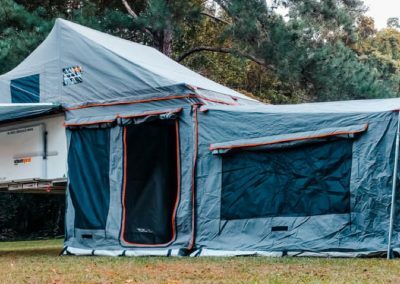 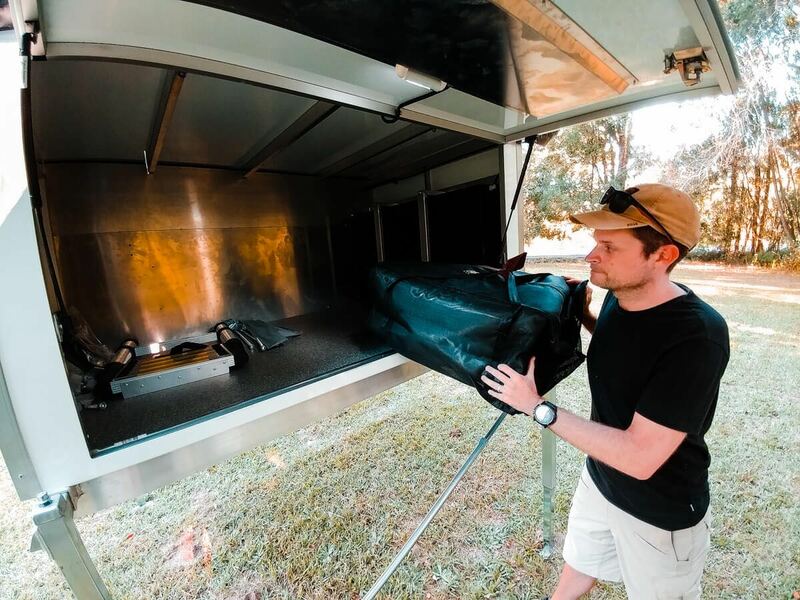 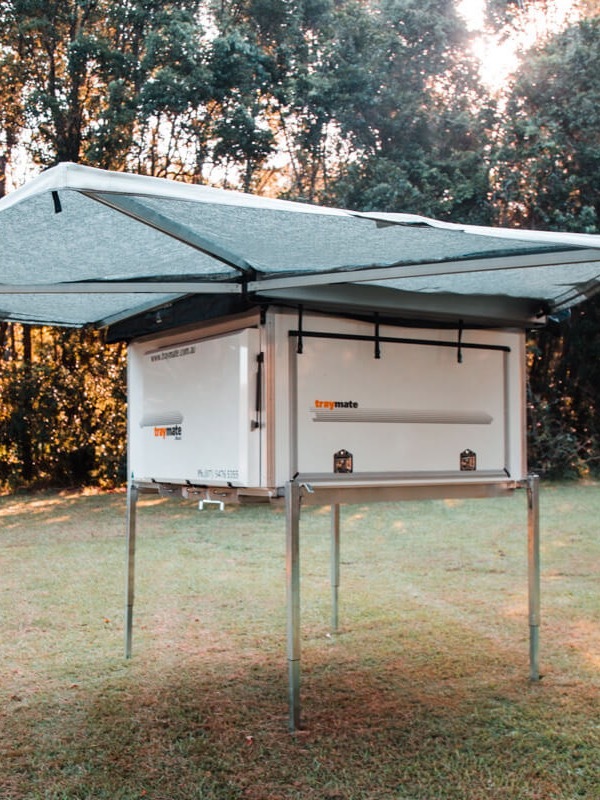 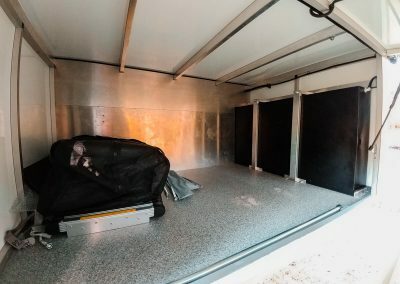 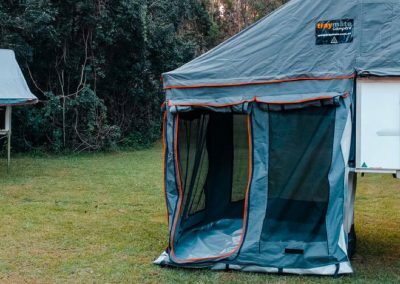 Meticulously hand crafted by order in Queensland Australia, your Traymate camping system is built specifically for the harsh conditions of Australia. 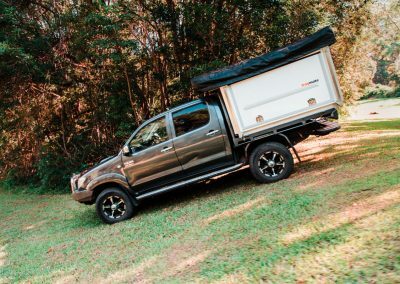 Like ordering a new Four wheel drive, the turn around time is approximately 90 days.